When the Ice Cream Sandwich SDK first dropped and developers started building ROMs from it, a couple of the releases included a keyboard theme switcher. 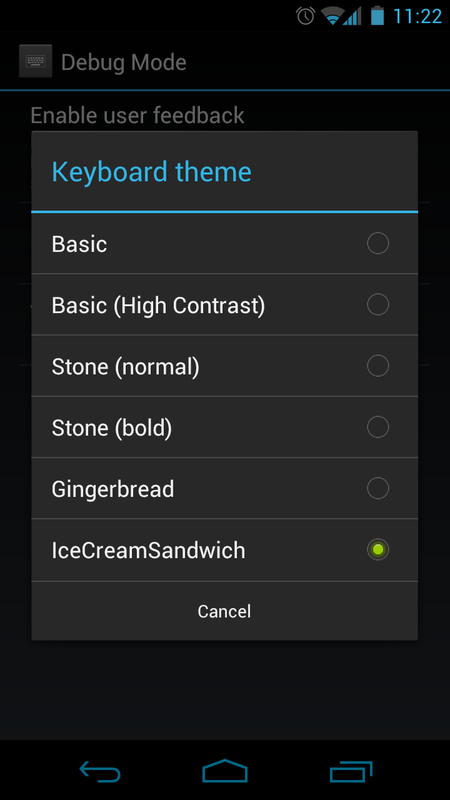 You could easily toggle between the old Gingerbread keyboard, the new ICS one, a “Stone” colored ‘board, and even a basic grey version. 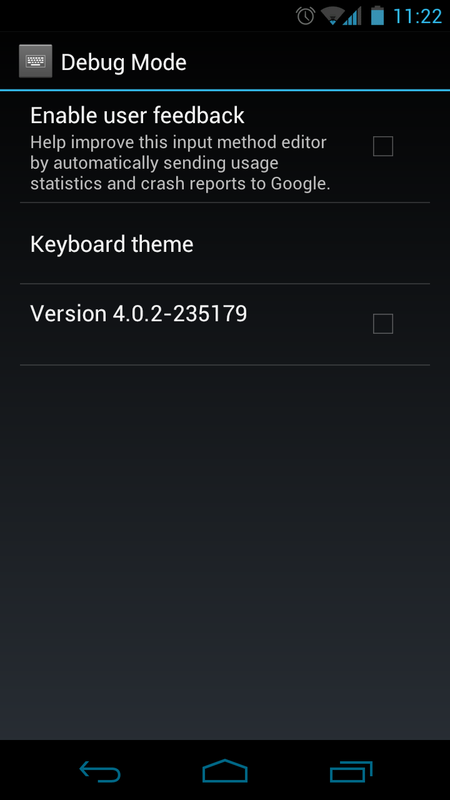 Once Android 4.0 was released on phones though, the theme chooser disappeared, sort of. It’s still embedded in Android, but you have to find it by using an app such as AnyCut that allows you to search your phone’s available activities. 1. Download and install AnyCut. 4. Name the shortcut whatever you like and then find it placed on your home screen. 5. Open the shortcut, tap “Keyboard theme” and then pick a theme. 6. Open a text box and enjoy! *H/T to AnandTech for the “hidden” menu reminder.